Deli slicers have an adjustable knob that allows you to determine the thinness/thickness of a slice. The smaller the number, the thinner the slice. 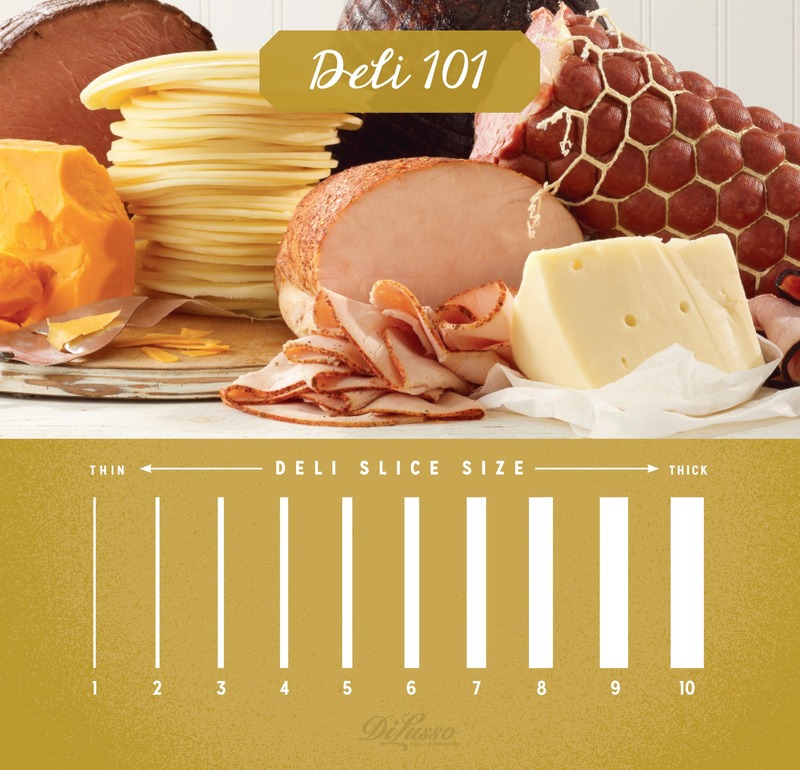 Determining the proper thickness of your deli meat and cheese slices will help make your meals even more amazing. Numbers 1-2 work well for appetizers, cheeses, and dry sausages such as prosciutto and genoa salami. Numbers 3-4 are perfect for sandwiches; and allow you to really taste the flavors of your deli meat. Numbers 5 -7 are for salads and when a recipe calls for diced meat. Numbers 8-10 provide the thickest slices and are great for soups and cubing. Ask your deli worker to slice you a sample, then remember your slice number.